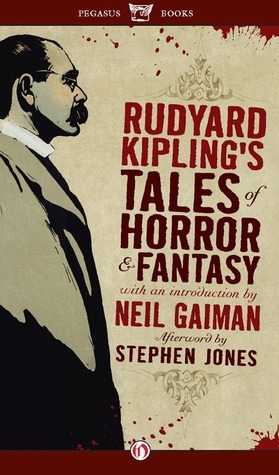 The complete horror, dark fantasy, and psychological suspense stories of Rudyard Kipling. I found it hard to get into this book. To be fair, I've found Kipling a bit heavy going in the past - there's just something about his writing style that puts me off - but when I saw this book of his short stories, I felt it was time to give him a second chance. Certainly a few of the stories caught my interest and held it, but for the most part I found them too verbose to ever be really chilling. The ideas were there, including a delightful mix of commentary on and borrowing from Indian culture, but Kipling's prose is just so wordy and it's a slog to get through it. I read writers like Tolstoy and Joyce and they, too, can be wordy, but with them it is a pleasure; with Kipling I find it a chore. That said, a few did entertain me and certainly fans of Kipling would enjoy this extensive anthology of his shorter works, so I give it three stars over all: not quite my cup of tea, but a lovely collection for a fan.